On January 28 the Bahamas had a referendum vote on matters concerning gambling. Click here to learn more about that and what I thought about the whole thing, granted I was not home to actually vote. But here’s a clip of my dad, Neuron, and grandmother aka “Ms. Evie” and what they had to say on it in December before the actual vote took place. Here’s a pic of my dad and his new car that he won thanks to playing the lottery. 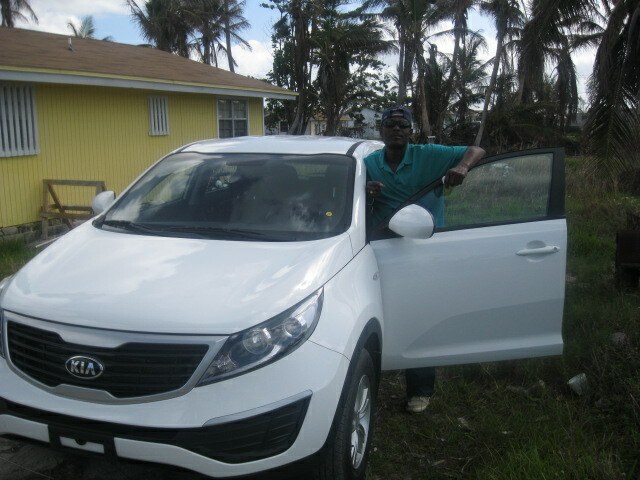 Dad and his 2013 Kia Sportage. He won it 6 days before Christmas.